Wisconsin Historical Markers: Chapel Car "Grace"
Chapel Car "Grace" was one of seven such cars operated by the American Baptist Publication Society from 1891 to 1948. The car was commissioned in May 1915. Its first assignment was in Northern California. Its last work in Orem, Utah. The car was retired in February 1946. It was given to the American Baptist Assembly / Green Lake Conference Center in May 1946. The six sisters cars of "Grace" were "Evangel," "Emmanuel," "Glad Tidings," "Goodwill," "Messenger of Peace," and "Herald of Hope." 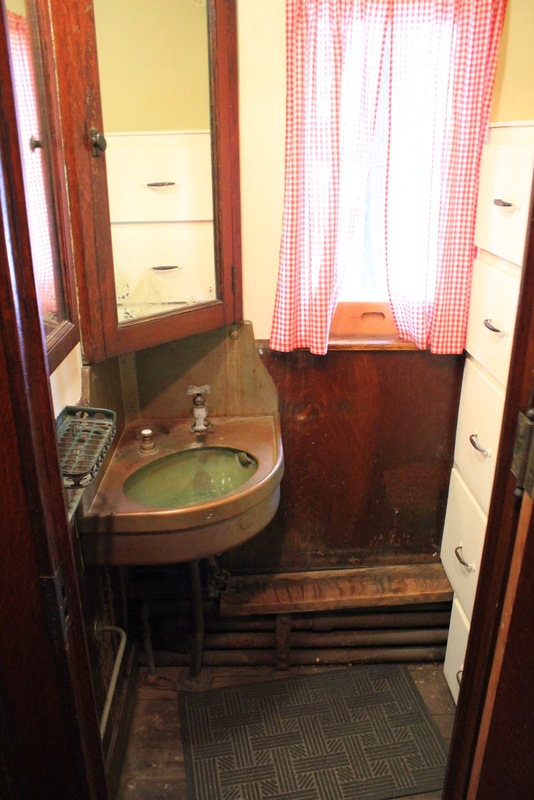 The chapel cars were operated in cooperation with the American Baptist Home Mission Society after 1923. The cars served 25 states from West Virginia to California and from Texas to Washington, reaching thousands of individuals with the gospel and establishing hundreds of Sunday schools and churches. 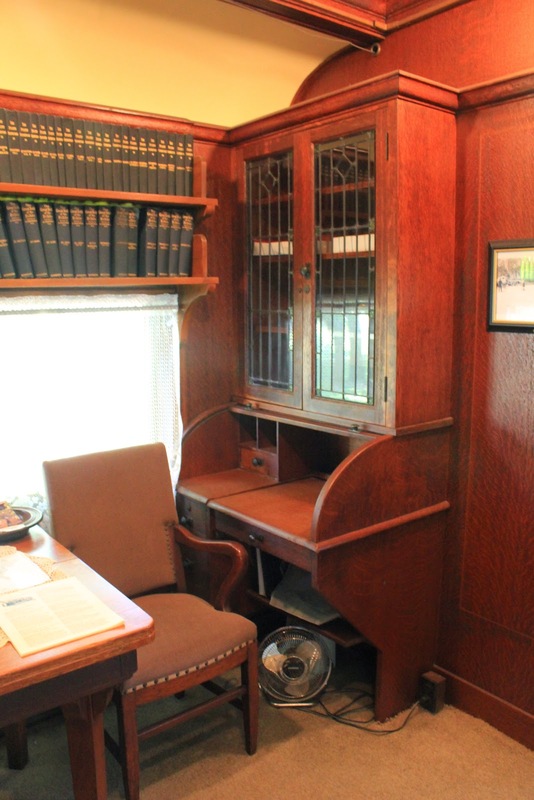 The chapel car ministry was the result of the vision and commitment of Dr. Wayland Hoyt, and Mr. Boston Smith, Sunday School Missionary for Minnesota. Chapel Car Grace is located on the grounds of the American Baptist Assembly Green Lake Conference Center on Lawson Drive, at its intersection with Hillside Road, Green Lake, Wisconsin 54941. Follow Lawson Drive. You will pass resort cabins, a golf course, a clubhouse, and then arrive at the historical marker / site for the wooden boat "No Hurry". Continue on Lawson Drive. Very quickly you will see Chapel Car "Grace" on your right. She's impossible to miss! Thirteen years had passed since the Baptist chapel car, Herald of Hope, had left the Barney & Smith Shops at Dayton, and the Publication Society hoped to build one more chapel car--a steel car. 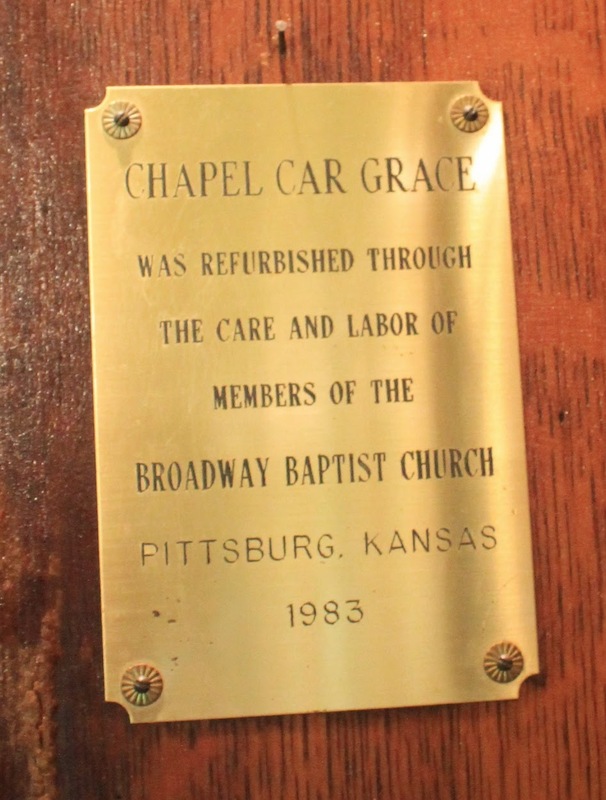 The Conaway/Birch Oil family donated $20,000 in memory of their daughter Grace, and Barney & Smith, at a price of $21,150, over five times the cost of the first chapel car, Evangel, contracted to build Grace. This last Baptist and last American chapel car shared shop space with Catholic Extension Society St. Paul from September of 1914 to January 1915. One of Grace's first stops, after its Los Angeles dedication in May 1915, was at the 1915 Panama-Pacific Exposition in San Francisco. On board were Rev. and Mrs. E. R. Hermiston, former missionaries on Emmanuel, who were fortunate to be appointed to Grace with the extra luxury of a separate bedroom and a brass bed. After eight years working in California's border towns, fishing villages, orchard valleys, military posts and ocean communities, Grace headed toward the sinful streets of Las Vegas, Nevada, where Rev. Hermiston started a church. After Hermiston's sudden death in 1923, Rev. A. C. Blinzinger continued the work and built churches in Wyoming before Rev. and Mrs. Howard Parry established stable and more permanent congregations in Colorado and Utah. 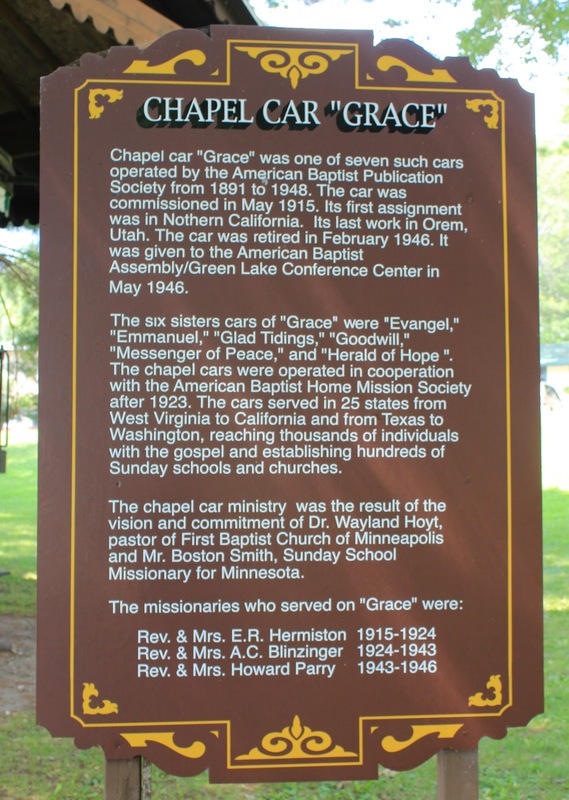 In 1946 Grace arrived at the American Baptist Assembly in Green Lake, Wisconsin, to serve as a memorial to the chapel car work and its missionaries, and where it continues to serve as a ministry of worship. What are the chances? While visiting Chapel Car "Grace" I was met by seasonal volunteer Wendy Bernhard, who began to share the story of Chapel Car "Grace" with me. I asked her who operated the car. "It was the Baptists," she said. "I'm Baptist," I replied. "From where?" she asked. "Out in California -- at Pomona First Baptist", I answered. Long story short, not only does Wendy know Pomona First Baptist, she knows my high school (1972-1974) church choir director, Maureen Brian! Sadly, I also learned that Maureen had died just weeks earlier -- at age 88, of leukemia. Still completely blown away by this "it's a very small world" event! See also, "No Hurry", very close to this location. but you can still purchase copies at the American Baptist Assembly gift shop. 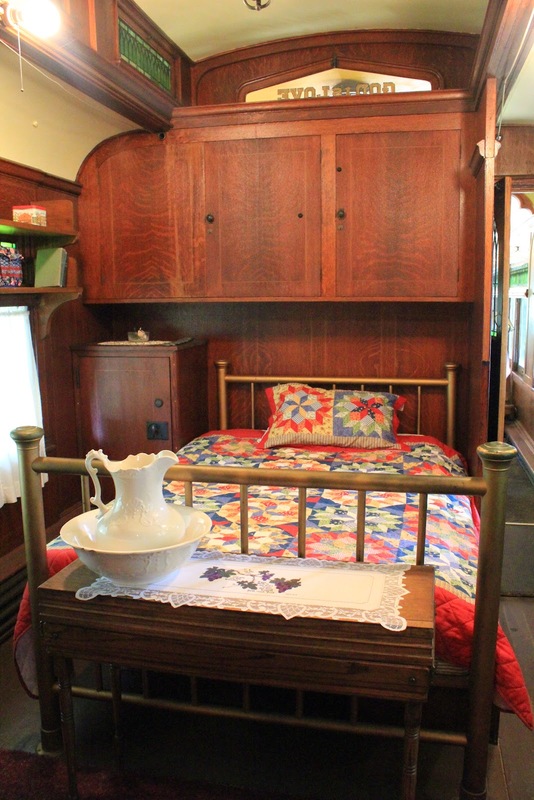 The woodwork and stained glass windows are prominent throughout the train. 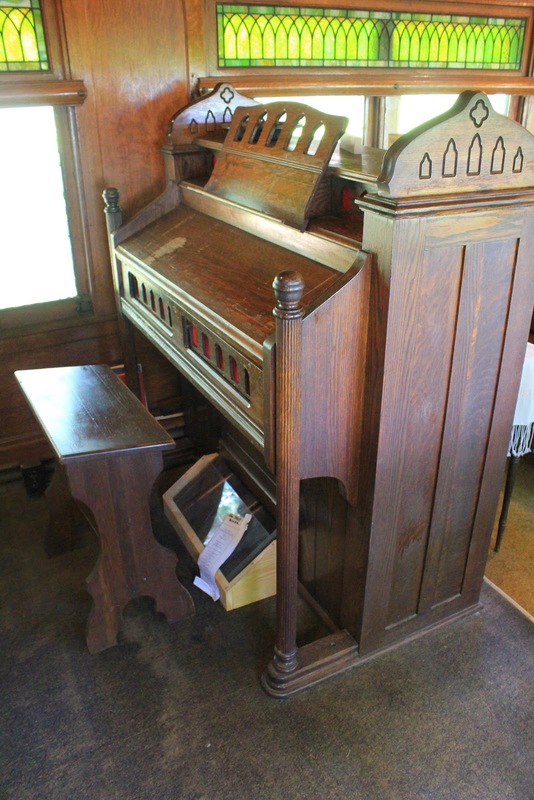 The original pump organ still works! 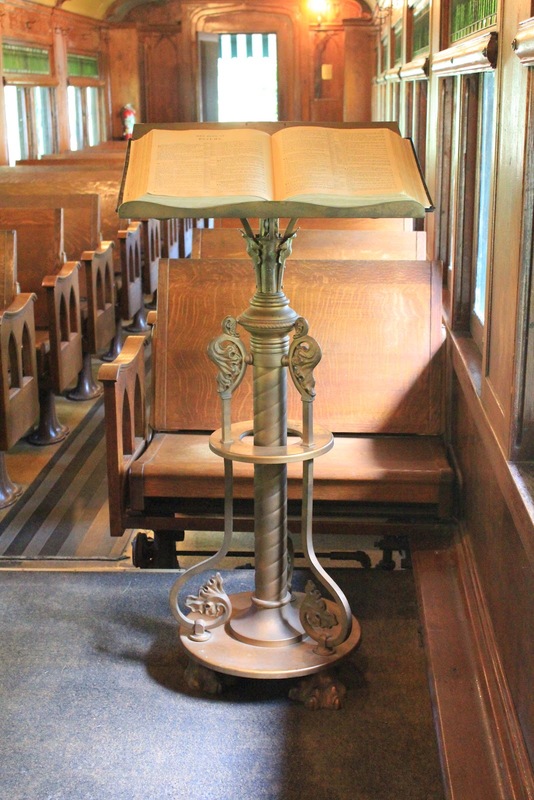 The original brass pulpit and Bible. Incredibly, this room felt spacious! 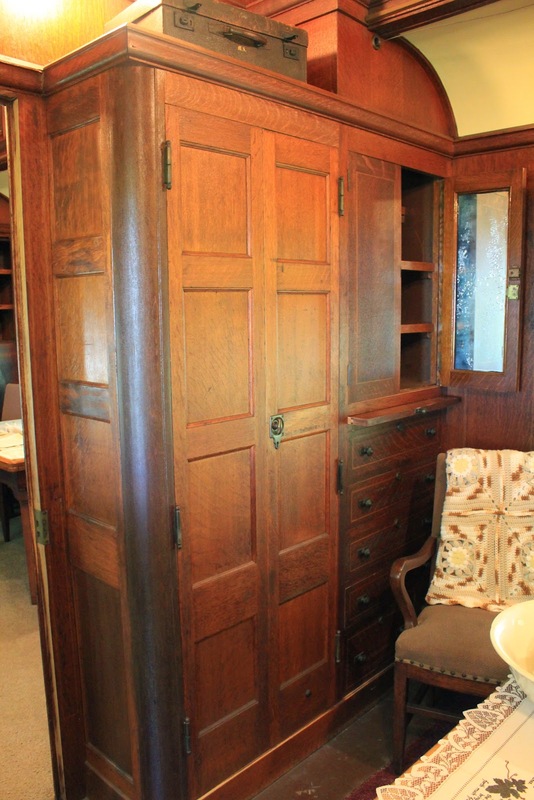 The beautiful wooden cabinetry -- this is the bedroom closet / dresser. Original chairs -- in the study. 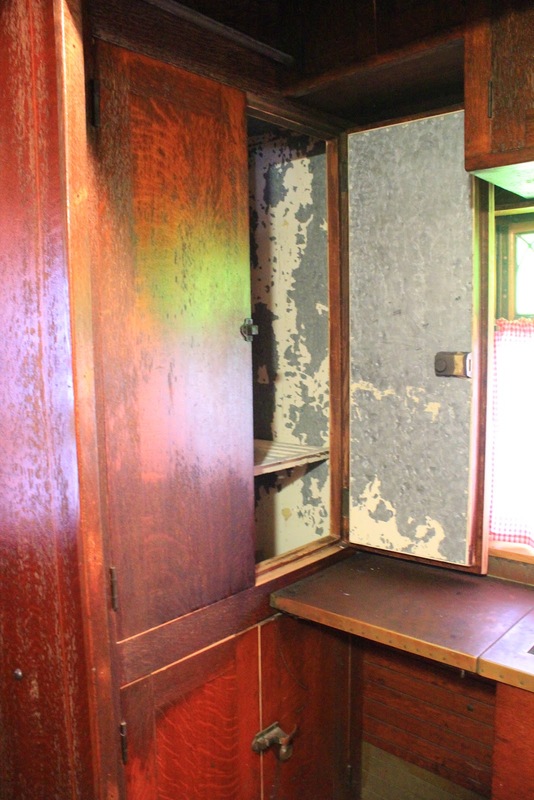 The "typewriter desk" and original chair. This is one awesome bathroom! 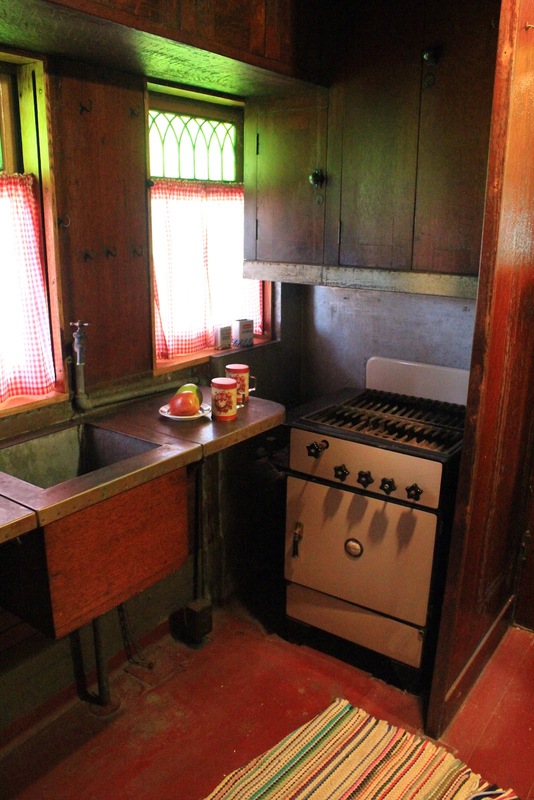 The kitchen -- complete with sink and stove . . .
Chapel Car "Grace" is quite amazing! View of Chapel Car "Grace" from westbound Lawson Drive. Looking east -- view of Green Lake from Grace location. Just read the booklet, "If that don't beat the Devil", and wanted to know how these remaining historic cars were faring today.